Mahindra will start assembling the XUV700 from the second half of 2018. Mahindra & Mahindra is upping their SUV game in India and abroad. The automaker even established a plant in the USA last year to produce electric SUVs for the local market there. Even in India, Mahindra wants to be associated only with utility vehicles. Mahindra’s electric wing is also working on converting the KUV100 into electric and a pre-production model was showcased at the recent Auto Expo. Also present at the expo was the upcoming XUV700, which, upon launch, will mark the most powerful and premium offering by the automaker. 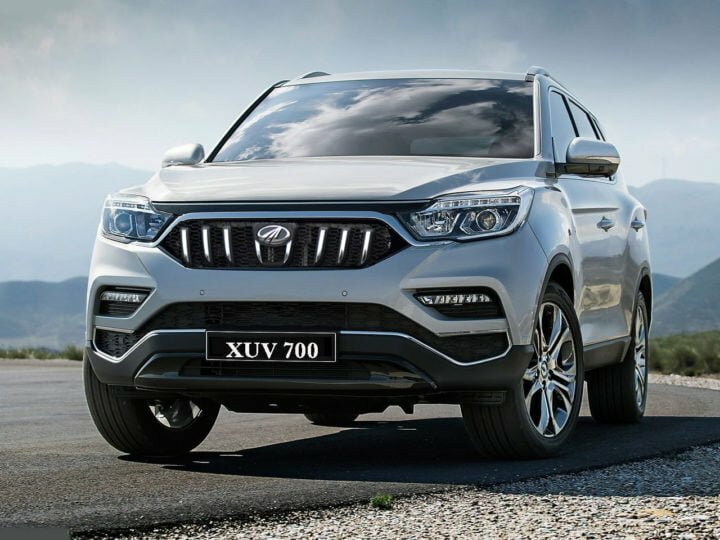 Mahindra has a pact with Ssangyong to import CKD kits till 2023 and the automaker plan to bring in the Rexton and the Tivoli albeit under Mahindra’s brand name itself. Mahindra XUV700 India launch is expected around the festive season of Diwali this year. Initially, the Mahindra XUV700 will be available in limited numbers and in limited parts of the nation to develop hype around it. Expect the full-size SUV to carry a price tag of around INR 25 lakh upon launch. Reports suggest that Mahindra will start importing and assembling kits around mid this year. Upon launch, the Mahindra XUV700 will compete with the likes of Toyota Fortuner, Ford Endeavour and Hyundai Santa Fe. Under the hood of the XUV700 is a 2.2-litre turbocharged diesel unit that’ll churn out 178 bhp of power and 420 Nm of torque. The power output should be enough to compete with the Fortuner and the Endeavour while the latter is slightly more powerful than the XUV700. The engine will come mated to a 7-speed automatic gearbox as standard while the top-end variant will carry the four-wheel drive with low ratio transfer box. The interior of the upcoming Mahindra XUV700 feature abundant use of luxurious material like leather and soft touch plastic. The touchscreen infotainment system sits neatly in the middle of the dashboard. Expected the XUV700 to be loaded with features to the brim. Safety features like six airbags, ABS with EBD, traction control will be offered as standard. Several features to be expected on the XUV700 will be 9.2-inch touchscreen infotainment system, 10.1-inch display for rear passengers, automatic climate control, mood lighting, projector headlamps with LED DRL, hill descent control, active rollover protection and leather seats with massage function. As for the sales and service, Mahindra official outlets across the nation will cater as required. Stay tuned for more info on upcoming Mahindra SUV.